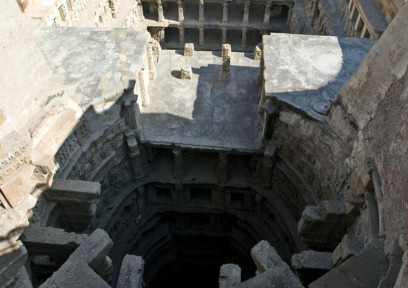 New Delhi: Rani ki Vav (queen’s stepwell), in Gujarat’s Patan town, has been added to Unesco’s list of World Heritage sites, an official statement said Sunday. “Rani ki Vav has been approved for inscription on the World Heritage list,” said a statement of the ministry of culture, adding that the decision was taken by Unesco at the World Heritage Committee session currently on at Doha, Qatar. “Unesco has recognised this masterpiece as an exceptional example of technological development in utilising groundwater resources in a single component, water management system and it illustrates the exceptional capacity to break large spaces into smaller volumes following ideal aesthetic proportions,” it added. “The ancient stepwell was built in the 11th century and is an example of a unique Indian subterranean architectural structure. Its seven storeys of ornamented panels of sculptures and relief represent the height of the Maru-Gurjara style,” said the statement. “Following the flooding and disappearance of the Saraswati river due to geotectonic changes, the property was buried under layers of silt for almost seven centuries and has been preserved underneath in an exceptional state of conservation by the Archaeological Survey of India (ASI),” the statement added. It was nominated for the title by the ASI in February 2013.